The Malaysia Airlines A330. Image: Seven News. 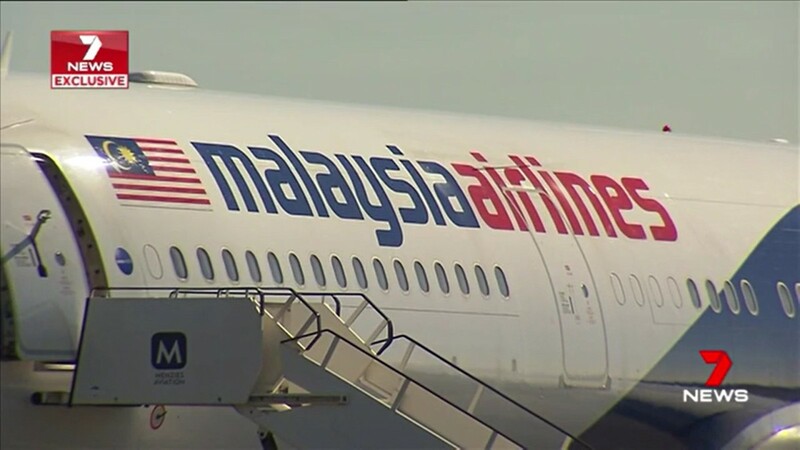 Less than a week before the release of the final report into the mysterious disappearance of Malaysia Airlines flight MH370, the Malaysian carrier is again in the limelight over a potentially serious incident. An Airbus A330 heading from Brisbane to Kula Lumpur on July 18 declared a PAN alert and was forced to return to the airport after its pilots reported its airspeed indicators failed. The aircraft returned the runway after dumping fuel but landed hard and had to be towed from the runway. It is understood problems with nosewheel steering and the main landing gear doors meant it took 90 minutes to remove the plane. It has been widely reported, initially by Seven News Brisbane, that the airspeed indicators were not working because covers on the pitot tubes were not removed. Pitot tubes measure static and kinetic air pressure in a moving aircraft to determine the indicated airspeed. READ: Malaysia promises no redactions in MH370 report. They are considered critical to an aircraft’s safety and there have been several incidents and accidents related to pitot tube failures, including the crash of Air France Flight 447, also an A330, in the Atlantic Ocean in 2009. The pitot covers have red tags attached and pilots say they should have been detected during a walk-around by one of the flight crew or by ground crew during the aircraft pushback. The Malaysia Airlines pilots should also have seen a discrepancy during the takeoff roll. The Australian Transport Safety Bureau is investigating the incident and is expected to issue a preliminary report in coming weeks. “As part of the investigation, the ATSB will examine the aircraft, collect recorders, and interview maintenance and flight crew,’’ the ATSB said on its website. Pitot tubes on aircraft staying in Brisbane are covered because of the presence of wasps that can build a nest in the devices. The pilots of an Etihad A330 aborted a take-off in November, 2013, after the captain observed an airspeed indication failure in his primary flight display. The aircraft took off again after an inspection and the pilots again became aware during the takeoff roll of an airspeed discrepancy that resulted in the autothrust system and flight directors disengaging automatically. The Etihad crew declared a MAYDAY and returned to Brisbane for an overweight landing. A subsequent inspection found the captain’s pitot tube was almost totally obstructed by a nest identified as belonging to an Australian Mud Dauber wasp. “Operators can minimize the risk of pitot probe obstruction by consistently using pitot covers even during short transit periods,’’ the ATSB’s investigation into the Etihad incident concluded. The residue blocking the pitot tube was built up while the aircraft was on the ground for two hours but Australia’s Civil Aviation Safety Authority says it has anecdotal evidence the wasps can build a significant nest capable of blocking a pitot tube, vent or drain within 20 minutes. In May of 2018, CASA also issued a warning about Key Hole wasps in Brisbane, a species that has been around the airport since 2010.